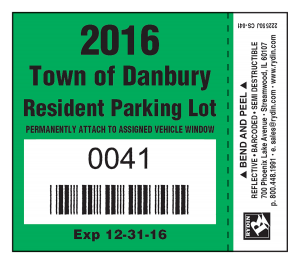 Any kind of Hang Tag Parking Permit you can think of, from standard to custom, from mini to horizontal, plus temporary, special event or scratch-off parking permits. 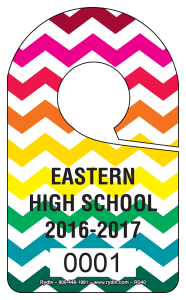 To see our entire line of hang tags, click here. 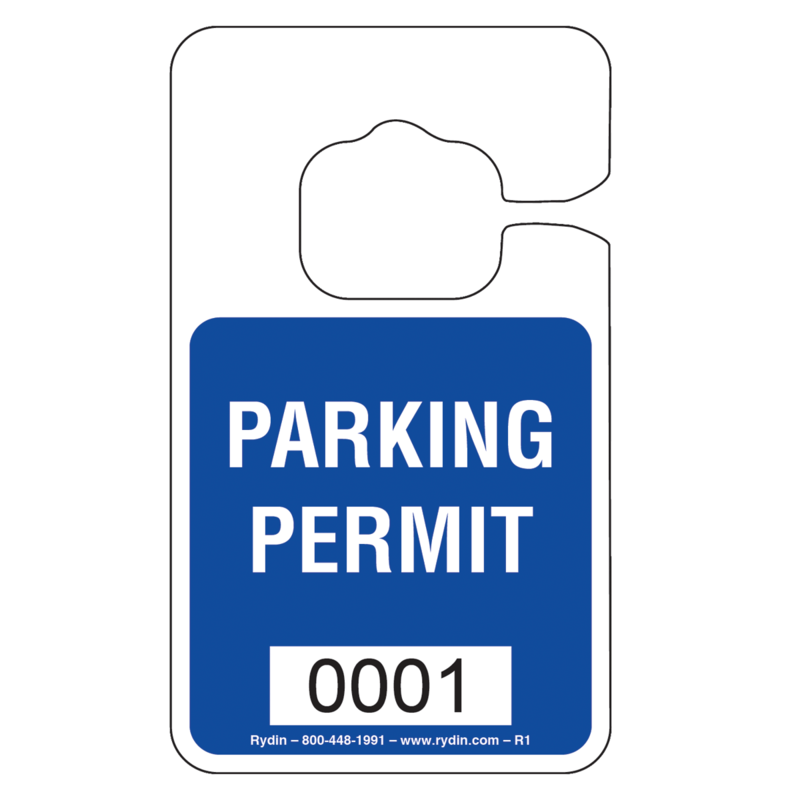 Decal Parking Permits, ranging from value priced options to customized parking permits, which can include high-tech security features such as bar coding. To see our entire line of decals, click here. Fill out our Contact Us form, and we will contact you as soon as possible. 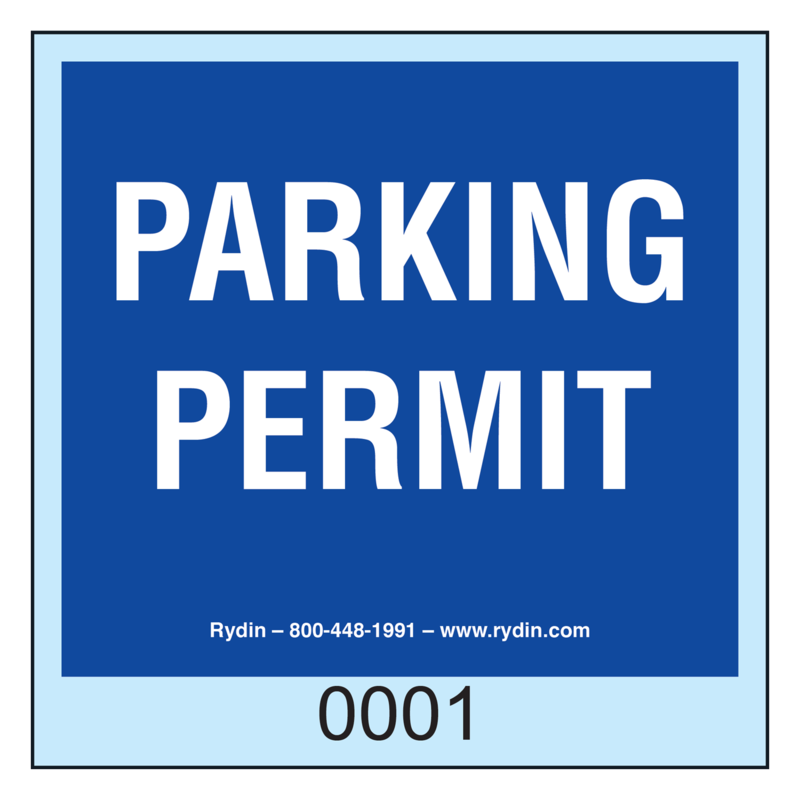 Email us at sales@rydin.com for more information, or to place an order. Call us at 1-800-448-1991 to speak to a Sales Representative.